Whether you’re looking to meet someone who shares your political views or hates the same things you hate, there’s likely a dating app out there to help you find your ideal match. Now, there’s a dating site specifically geared toward those who love dogs. Hotdiggiddy, the new "Social Dating Site" for Dog Lovers, is centered around the idea that those who care for dogs are usually warm, loving, and responsible people. 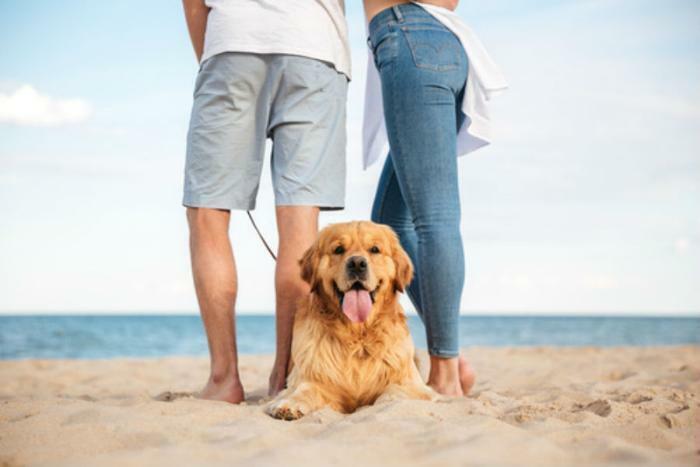 The creators of the site say finding romance or friendship with a dog lover won’t only be a boon to your happiness, it’ll be a positive influence in the life of your four-legged friend as well. "Have you ever invited someone over for a visit and as soon as they walked in the door your dog immediately reacted to them? Not in a nice way. Well, we have time and again,” said Scott Murray, CEO of Hotdiggiddy. “We find that the people who our dogs like are usually people who we can trust and get along with; even if they are not dog owners themselves. These people just seem to give off good vibes that you and your dog can feel." But you don’t have to own a dog to use the Canadian based dating site and app -- a love of dogs is all that’s required. In addition to giving off good vibes, dog lovers may also be better communicators. According to a University of Buffalo study, couples with pets have closer relationships and interact more than couples without pets. The researchers explained that dogs make people want to seek out more social contact. As a result, they tend to form stronger and longer-lasting relationships. Another potential perk of dating a dog lover: they may be more empathetic. A 2014 study found that dog owners are more engaged with their communities, likely as a result of being tapped into their empathetic, understanding side from all the hours spent caring for their pet. Hotdiggiddy says it’s looking for people who are living life to the fullest. And while you only need to be over the age of 18 to use the site, its key demographic is 30 years of age and older.